The attorneys in our firm have extensive experience defending claims based upon allegedly defective products. Our attorneys have represented manufacturers, suppliers, retailers and installers in a wide variety of cases alleging claims under the Alabama Extended Manufacturer's Liability Doctrine (AEMLD), negligence, breach of warranty, failure to warn, and other types of claims arising out of allegedly defective products. 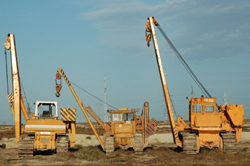 Our experience includes representation of clients in cases involving claims based upon prescription medications, automobiles and other motor vehicles, power tools, construction materials, industrial machinery, farm equipment, heavy equipment, and others.